Prominent militia leader Mozgovoi was assassinated on Saturday evening after the vehicle he was traveling in ran into an ambush. Lugansk militia leader Aleksey Mozgovoi was assassinated by unknown gunmen on Saturday after the vehicle he was traveling in ran into an ambush. 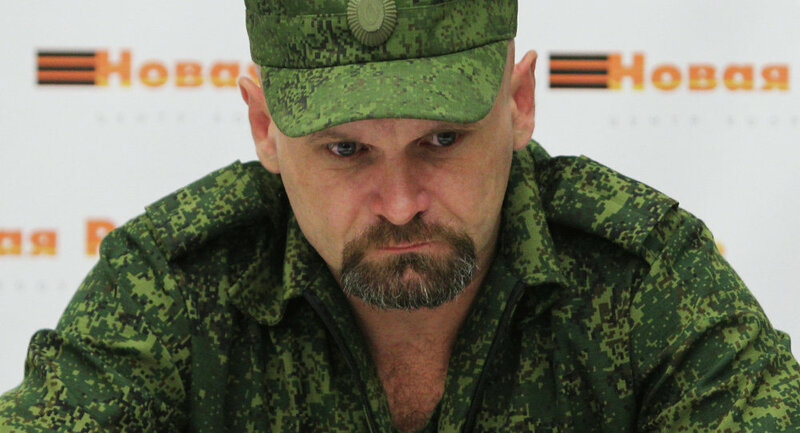 Mozgovoi was the head of Lugansk's Prizrak ("Ghost") Brigade militia, one of the most prominent militias in the region. "This happened at around the same place as where an assassination attempt against Mozgovoi was made on March 7. The ambush took place on the highway between Lugansk and Alchevsk, unknown persons shot at the jeep Mozgovoi and his guards were traveling in. Mozgovoi was seriously injured and died on the spot," a representative of the militia told RIA Novosti. According to the self-proclaimed Lugansk People's Republic's Deputy General Prosecutor, Mozgovoi was killed alongside six other people. Mozgovoi's entourage included his press secretary and three members of his security detail, according to Russian news site LifeNews. Mozgovoi was killed when the car he was traveling in ran into an ambush outside the village of Mikhailovka, east of his group's headquarters in Alchevsk, in the self-proclaimed Lugansk People's Republic.